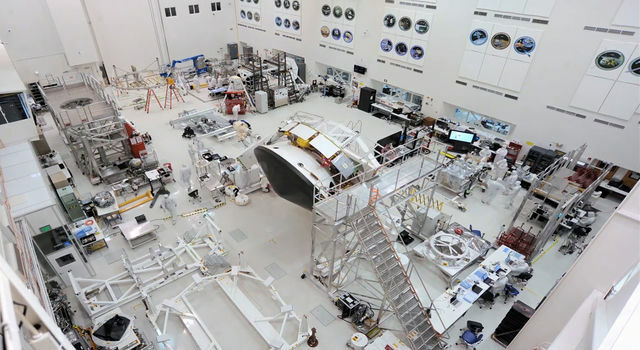 The next rover NASA will send to Mars in 2020 will carry seven carefully-selected instruments to conduct unprecedented science and exploration technology investigations on the Red Planet. NASA announced the selected Mars 2020 rover instruments Thursday at the agency's headquarters in Washington. Managers made the selections out of 58 proposals received in January from researchers and engineers worldwide. Proposals received were twice the usual number submitted for instrument competitions in the recent past. This is an indicator of the extraordinary interest by the science community in the exploration of the Mars. The selected proposals have a total value of approximately $130 million for development of the instruments. "Today we take another important step on our journey to Mars," said NASA Administrator Charles Bolden." While getting to and landing on Mars is hard, Curiosity was an iconic example of how our robotic scientific explorers are paving the way for humans to pioneer Mars and beyond. Mars exploration will be this generation's legacy, and the Mars 2020 rover will be another critical step on humans' journey to the Red Planet." "The Mars 2020 rover, with these new advanced scientific instruments, including those from our international partners, holds the promise to unlock more mysteries of Mars' past as revealed in the geological record," said John Grunsfeld, astronaut, and associate administrator of NASA's Science Mission Directorate in Washington. 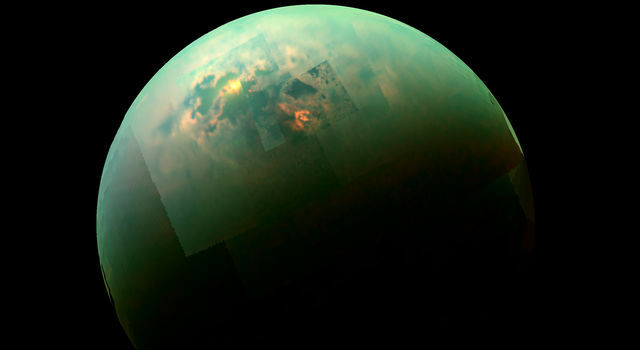 "This mission will further our search for life in the universe and also offer opportunities to advance new capabilities in exploration technology." "The 2020 rover will help answer questions about the Martian environment that astronauts will face and test technologies they need before landing on, exploring and returning from the Red Planet," said William Gerstenmaier, associate administrator for the Human Exploration and Operations Mission Directorate at NASA Headquarters in Washington. "Mars has resources needed to help sustain life, which can reduce the amount of supplies that human missions will need to carry. Better understanding the Martian dust and weather will be valuable data for planning human Mars missions. Testing ways to extract these resources and understand the environment will help make the pioneering of Mars feasible." - Mastcam-Z, an advanced camera system with panoramic and stereoscopic imaging capability with the ability to zoom. The instrument also will determine mineralogy of the Martian surface and assist with rover operations. The principal investigator is James Bell, Arizona State University in Tempe. - SuperCam, an instrument that can provide imaging, chemical composition analysis, and mineralogy. The instrument will also be able to detect the presence of organic compounds in rocks and regolith from a distance. The principal investigator is Roger Wiens, Los Alamos National Laboratory, Los Alamos, New Mexico. This instrument also has a significant contribution from the Centre National d'Etudes Spatiales,Institut de Recherche en Astrophysique et Plane'tologie (CNES/IRAP) France. - Planetary Instrument for X-ray Lithochemistry (PIXL), an X-ray fluorescence spectrometer that will also contain an imager with high resolution to determine the fine scale elemental composition of Martian surface materials. PIXL will provide capabilities that permit more detailed detection and analysis of chemical elements than ever before. The principal investigator is Abigail Allwood, NASA's Jet Propulsion Laboratory (JPL) in Pasadena, California. 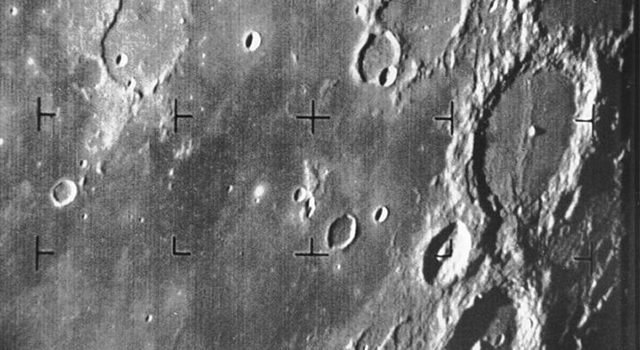 - Scanning Habitable Environments with Raman & Luminescence for Organics and Chemicals (SHERLOC), a spectrometer that will provide fine-scale imaging and uses an ultraviolet (UV) laser to determine fine-scale mineralogy and detect organic compounds. SHERLOC will be the first UV Raman spectrometer to fly to the surface of Mars and will provide complementary measurements with other instruments in the payload. The principal investigator is Luther Beegle, JPL. - The Mars Oxygen ISRU Experiment (MOXIE), an exploration technology investigation that will produce oxygen from Martian atmospheric carbon dioxide. The principal investigator is Michael Hecht, Massachusetts Institute of Technology, Cambridge, Massachusetts. - Mars Environmental Dynamics Analyzer (MEDA), a set of sensors that will provide measurements of temperature, wind speed and direction, pressure, relative humidity and dust size and shape. The principal investigator is Jose Rodriguez-Manfredi, Centro de Astrobiologia, Instituto Nacional de Tecnica Aeroespacial, Spain. - The Radar Imager for Mars' Subsurface Exploration (RIMFAX), a ground-penetrating radar that will provide centimeter-scale resolution of the geologic structure of the subsurface. The principal investigator is Svein-Erik Hamran, the Norwegian Defence Research Establishment (FFI), Norway. "We are excited that NASA's Space Technology Program is partnered with Human Exploration and the Mars 2020 Rover Team to demonstrate our abilities to harvest the Mars atmosphere and convert its abundant carbon dioxide to pure oxygen," said James Reuther, deputy associate administrator for programs for the Space Technology Mission Directorate. "This technology demonstration will pave the way for more affordable human missions to Mars where oxygen is needed for life support and rocket propulsion." Instruments developed from the selected proposals will be placed on a rover similar to Curiosity, which has been exploring Mars since 2012. 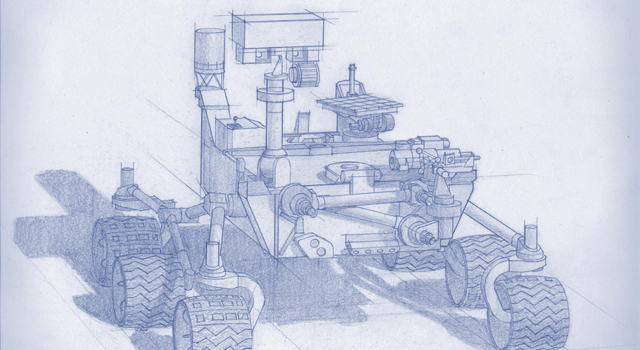 Using a proven landing system and rover chassis design to deliver these new experiments to Mars will ensure mission costs and risks are minimized as much as possible, while still delivering a highly capable rover. Curiosity recently completed a Martian year on the surface -- 687 Earth days -- having accomplished the mission's main goal of determining whether Mars once offered environmental conditions favorable for microbial life. 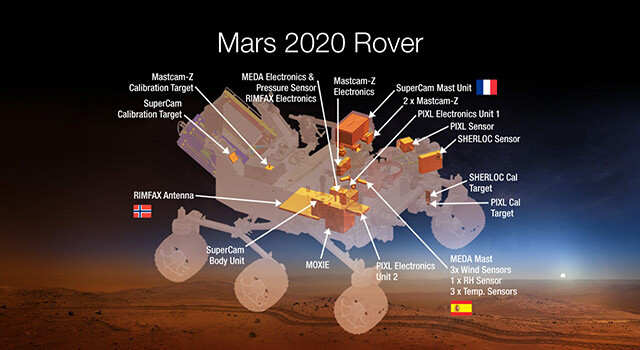 The Mars 2020 rover is part the agency's Mars Exploration Program, which includes the Opportunity and Curiosity rovers, the Odyssey and Mars Reconnaissance Orbiter spacecraft currently orbiting the planet, and the MAVEN orbiter, which is set to arrive at the Red Planet in September and will study the Martian upper atmosphere. In 2016, a Mars lander mission called InSight will launch to take the first look into the deep interior of Mars. The agency also is participating in the European Space Agency's (ESA's) 2016 and 2018 ExoMars missions, including providing "Electra" telecommunication radios to ESA's 2016 orbiter and a critical element of the astrobiology instrument on the 2018 ExoMars rover. NASA's Mars Exploration Program seeks to characterize and understand Mars as a dynamic system, including its present and past environment, climate cycles, geology and biological potential. In parallel, NASA is developing the human spaceflight capabilities needed for future round-trip missions to Mars.